If you are looking for a trustworthy and dependable appliance service provider, you have come to the right place! Appliance Repair Gloucester is here to take care of all your appliance related needs in the most efficient manner! Our team has been servicing customers throughout the Gloucester area in Ontario for many years and knows how to set things right the first time. Over years, we have fixed thousands of broken fridges, freezers, ice-makers, ovens, dryers and other household appliances. It means we can handle tasks of any level of difficulty and complexity! Our technicians constantly pass through the extensive training to improve their skills and abilities. We can easily determine problems and perform quality appliance repair. We are familiar with the latest repair techniques and use modern equipment. Our company services and repairs all major appliance brands available on the market. As our customers’ time is priceless, we strive to complete every appliance repair service in a timely manner. We come well-prepared and have a lot of spare parts at our disposal. That allows us to perform most of the home appliance repairs in a single visit. We can ensure quick and efficient response to any request. At Gloucester Appliance Repair, our main priority is to minimize the inconvenience that a faulty appliance brings. Hiring us, you will be able to get back to normal life within the shortest possible time. From our representative over the phone to our appliance technicians, you will be treated with courtesy and respect. We stand behind our services and guarantee 100% customer satisfaction. Are you experiencing some home appliance issues? No problem! Don’t let them affect your comfort and give us a call right away! Our appliance service technicians will show up on time, diagnose your unit and find the right way to repair it. From microwaves and ovens to refrigerators and freezers, we can do it all. 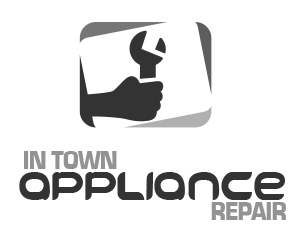 Our company is your reliable partner for any type of appliance repair!